Registration for each event will be available several weeks in advance of the event. Members must register via a simple online registration form available on the club’s web site. Guests may register for an event by contacting GTGP by email or telephone. To access the members’ event registration form, members should log in and go to My GTGP/Event Registration. On the event registration form, all members must also identify which set of tees they wish to play from for the event. We are also asking for Skins and CTP entries at time of registration, which of course is new for this year. Members may also list any special requests such as desired playing partners, early/late tee times, etc. However, we plan to randomize pairings for the most part. Immediately after submitting the registration form, members will be able to confirm their registration by checking My GTGP / Who’s Playing. We may add other means of confirmation later, such as email confirmations. 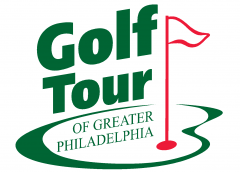 For 2019 we are keeping Registrations here at golftourphilly.org. Golf genius has a registration system but we will not be using it as it does not support tee box choices during registration. We need your tee box choices in advance to set up handicaps. After registering here we turn everything over to Scoring Central (golf genius) from pairings to generating results. All players must register prior to the posted event registration deadline to guarantee their spot. Any registrations received after the posted deadline will be placed onto a waiting list and open spots will be filled on a space-available, first-come first-served basis. Registration deadlines vary by event and are typically one to two weeks in advance of the event. Registration for an event is considered your commitment to play in that event, and obligates you to pay for the event unless you cancel your registration prior to the registration deadline. After the deadline, our refund policy for event fees is to base decisions on the discretion of the host golf course. If the golf course agrees not to charge GTGP, your account will be credited with the event fee (for use toward a future GTGP event). If the golf course charges GTGP, you will not receive a refund or credit. In order to cancel an event registration, please e mail the club before tee times are posted. An event may be cancelled if either (1) the Board of Directors elects to cancel the event in advance because of the prospect of inclement weather, or (2) the golf course is closed on the day of the event due to inclement weather. If a member has registered and does not show up, the Cancellation Policy explained above will apply in determining whether the member is responsible for any charges. If the Board of Directors decides to cancel in advance, notice will be placed on the club web site no later than 5 pm on the day preceding the event. When inclement weather is a possibility, members should check the web site on the afternoon or evening prior to the event for any updates. On the day of the event, members should call the golf course directly. If an event is cancelled, all fees paid toward the original event will be credited to your account. The Board of Directors will make a decision on whether the event will be rescheduled at a later date. Guests are welcome at all GTGP events unless otherwise noted. Guests may play in a maximum of two events prior to joining the club. Guests are not eligible to win GTGP$ or event prizes, with the exception of optional closest-to-the-pin and skins pools. Pairings and starting times for each event will typically be posted two days prior to the event on the club web site. Members are expected to conduct themselves at all times in a manner that reflects well on the club. Members will be held responsible for any damage to property or injury to others resulting from their actions. The Board of Directors reserves the right to suspend or revoke membership privileges in extreme circumstances. The success of our tour relies strongly upon members having vaild handicaps. Every member is responsible for adhering to the USGA handicapping policies. All GTGP event scores will be posted automatically by the Board of Directors, but each member is responsible for posting all other qualifying scores (whether they are tournament scores or scores from casual play) using the GHIN system. As appropriate, the Handicap Committee reserves the right to adjust member’s handicaps for GTGP events (and USGA handicap index if kept through GTGP) to ensure the integrity of our events. For more information, please see our handicap page. If you have a question about club policies that is not answered above, please contact us.